Potter fans get your wands ready and your travelling cloak on because you’re about to take a trip to Hogwart’s dangerous Forbidden Forest. Starting March 31, the Warner Bros. 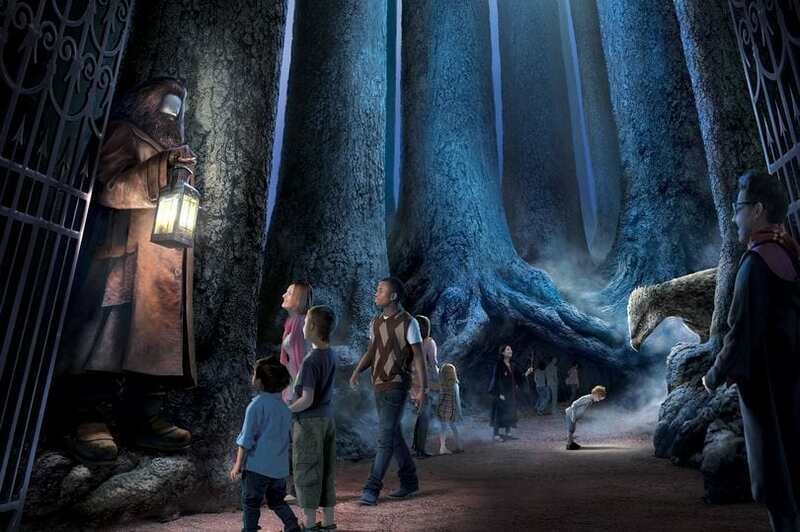 Studio Tour in London will open up an exciting new expansion completely dedicated to the off-limits to all students (unless you have detention) Forbidden Forest. The muggle studio designers have done their best to accurately replicate the haunting wood and have filled it with 19 huge 12 foot wide trees for visitors to explore, Digital Spy reports. Of course it wouldn’t be a trip to the infamous wood without dangerous magical creatures and visitors can meet a whole host of the forest’s infamous inhabitants. From the friendly Buckbeak the hippogriff to the downright terrifying Argog the acromantula and his hideous offspring, they’re are all hidden away in the forest. Thankfully Hagrid, or his costume at least, is there to keep any muggle visitors safe should they find themselves trapped in the giant spider’s web. Warner Bros. have been teasing the forests unveiling all week posting on their Instagram the enigmatic teaser #followthespiders which had Potter fans across the world guessing. The studio tour’s new Forbidden Forest will be open from Friday 31 March, and entrance will be included in the regular ticket price.